This is an art piece that I located on facebook via Zeb Wood (fellow Purdue alumni and an Art Institute of Indianapolis instructor). 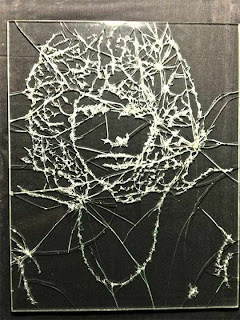 He says that this gentleman is a former student and an experienced glass shatterer! The creator of this wonderful piece Craig Michael Scott can be found at the following etsy shop http://shatteredart.etsy.com and on facebook at http://www.facebook.com/shatteredart. 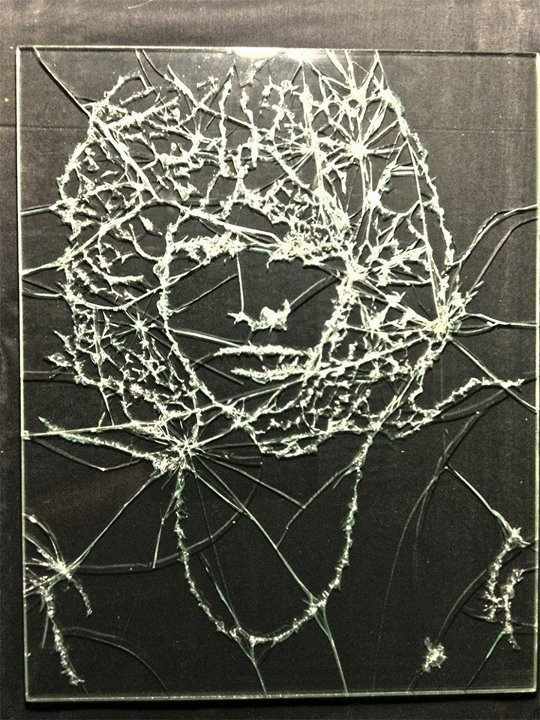 This particular piece is of Jim Morrison and can be purchased here http://www.rebelsmarket.com/products/jim-morrison-glass-portrait-16x20-only-one-world. I hope that you enjoy the art that is displayed here today. There are many different avenues that art and fashion and design can take as you can see from todays feature. Just be open to the possibilities and think outside of the box. Purple Tone Makeup For Fall!! Kanye West x Giuseppe Zanotti The Sequel!! Makeup Looks: The Simple Way! June Day! Ambrose That Is! Betsey Johnson Can Make You Say Grr! Want To Refresh Your Floors?!?! MFW Quickie: Fendi S/S '13! Just A Peek: S/S Versace 2013! Take A Look: Bottega Veneta S/S '13! Endless.com Moves! Products With 50% OFF! Apple iPhone 5 In Stores and Online Today!! How To Simplify The Beaded Look! Are Spikes In or Out For Fall?? DNC Fashion: Mrs. Michelle Obama! FNOindy: Yours In Fashion Presents! Gucci New Fragrance Event In Venice!